Microsoft finally unleashed the Windows 10 Technical Preview for mobile devices on its Windows Insiders last week. 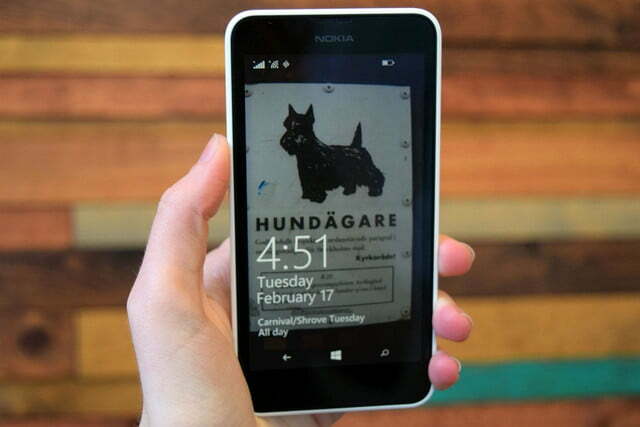 We’ve been using the preview on a Nokia Lumia 635 since it arrived on February 12. By and large, it’s not a huge update, and unless you start digging, you’re really not going to find too many new features. The best of Windows 10 is most definitely yet to come to mobile, but we’ve put together our first impressions of the Technical Preview for phones. 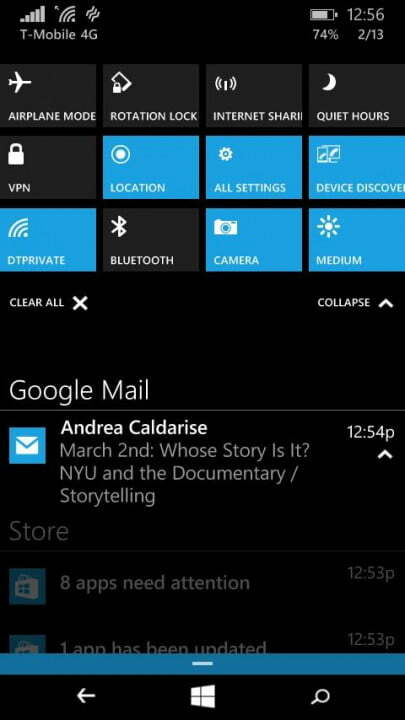 Windows Phone 7 was radically different from any other mobile operating system we’ve ever seen. 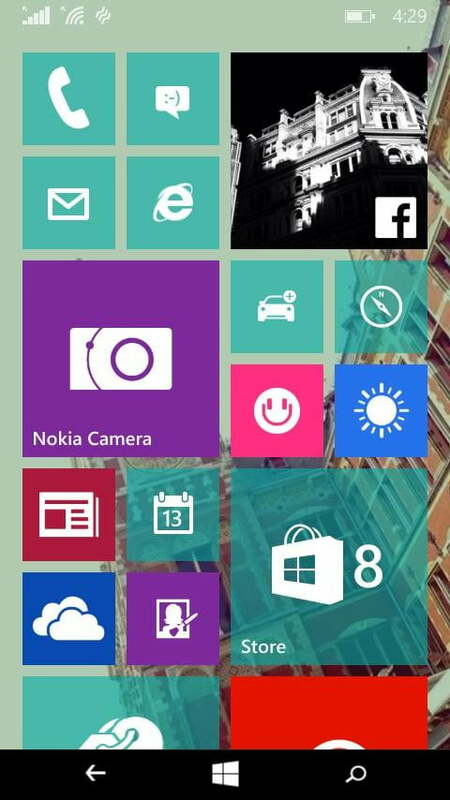 The brightly colored app tiles and that striking black background were certainly dramatic, and rather divisive. Windows Phone is either loved or hated — There’s no in between. However, people on both sides of the fence generally agreed that it was odd that you couldn’t personalize your phone’s background or control your tiles too much. Microsoft made a big nod to customization with its Windows 10 update. Microsoft made a big nod to customization with its Windows 10 update. In fact, one of the first things you should take advantage of once you’re on Windows 10 is the ability to change your background. You can make any photo into your phone’s background on Windows 10, just like you would on iOS and Android. When you do so, the app tiles turn translucent so you can see your photo through them. It’s fun to coordinate your background image colors with the tile color you put on top. I chose a nice photo of a building in Amsterdam that I took last year and paired it with teal tiles. 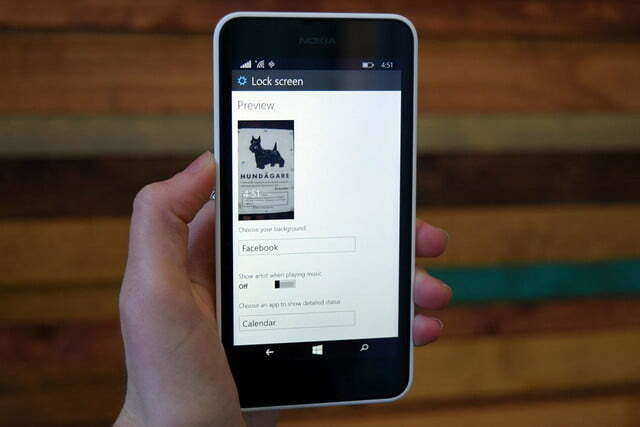 You can also customize your lock screen with photos from Facebook or elsewhere. Alternatively, if you’re not into using your own photos as your phone’s background, you can choose between the traditional black and white backgrounds, and then select your tile colors. I don’t always talk to my phone, but when I do, I want it to get what I’m saying on the first try. Most voice-to-text or speech recognition software fails miserably in that regard, but Cortana is one of the best digital assistants around. 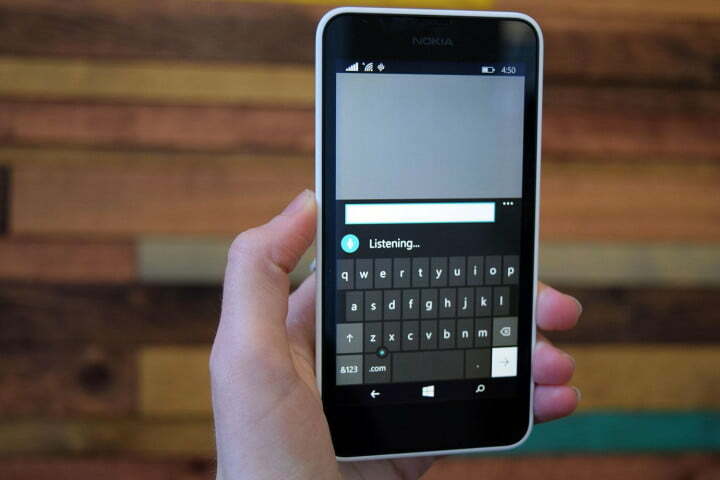 Now, Microsoft’s expanding that speech recognition software to other aspects of the Windows phone experience. 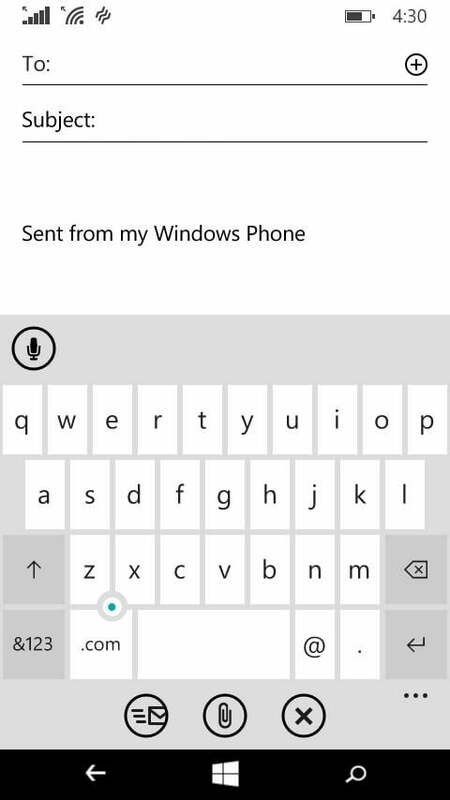 Any time the keyboard pops up and you see the microphone icon at the top of it, you can type with your voice. 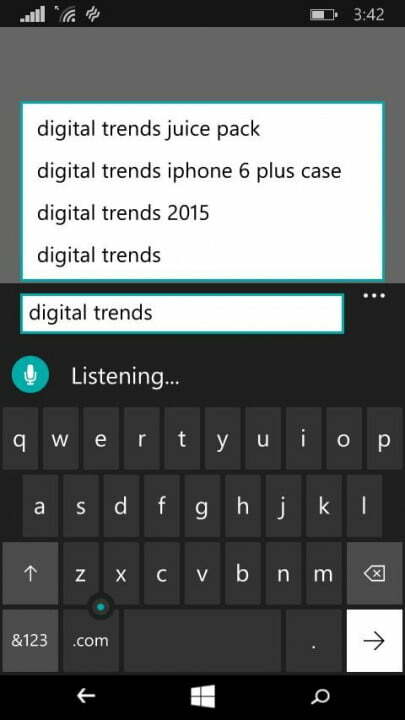 The voice-to-text option is even available in the Internet Explorer search bar. To test it out, I simply tapped on the mic icon and said, “Digital Trends.” The phone quickly figured out what I said and offered up Digital Trends as a suggestion. I hit enter and like magic, I was on our website. Those who like voice recognition will probably be thrilled by this news. Theoretically, the voice-to-text feature could be used in OneNote, Evernote, and a bunch of other applications. Really, the further Microsoft extends this feature, the better. 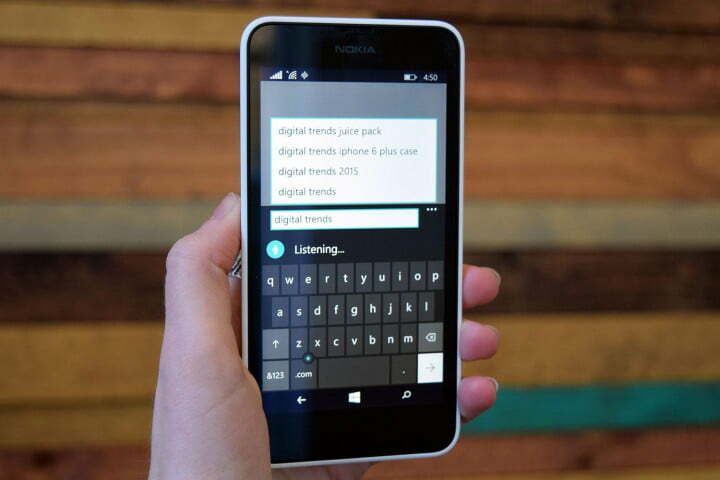 Voice-to-text will also become much more useful as Cortana’s powers continue to grow. The only downside is that right now, the new voice features only work in the U.S. with English as your main language. Microsoft will probably add more languages soon, though. 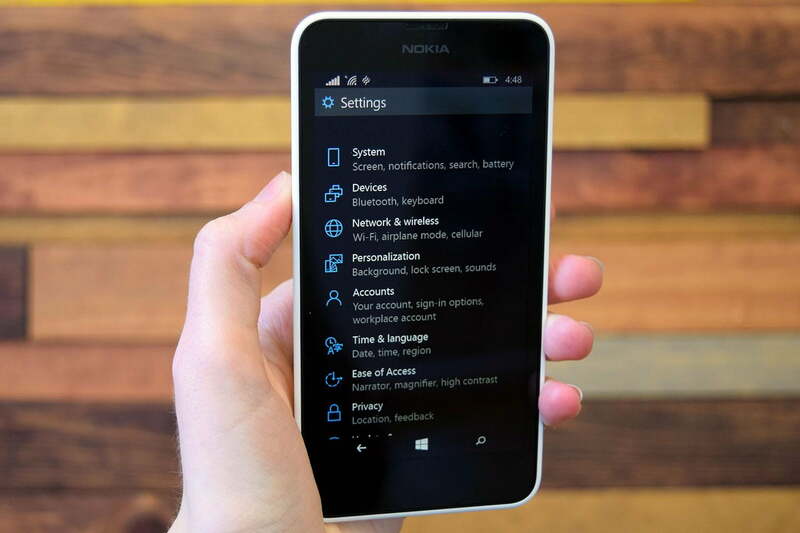 Although the Action Center for quick settings and notifications arrive in Windows Phone 8.1, it’s gotten a much needed boost in the Windows 10 Technical Preview. 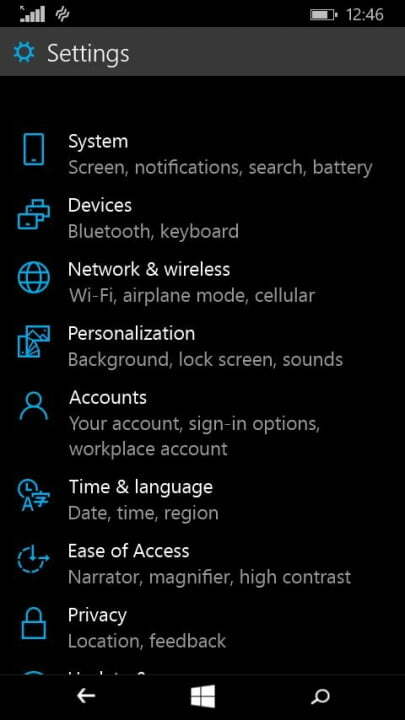 Now you can add many more settings to the list — before you only had access to four — which makes it much more useful. It’s never been easier to turn Wi-Fi on and off, set rotation lock, or activate Bluetooth on a Windows phone. The Action Center also lets you interact with some notifications. As such, you can dismiss alarms, reply to texts, or perform other tasks right from the notification itself. Currently, you can’t interact with email, which is too bad, but Microsoft will likely add this feature to more apps in the near future. It would be great if Twitter, Facebook, and a bunch of messaging apps also got interactive notifications. For now, we’ll have to wait and see how far these go. 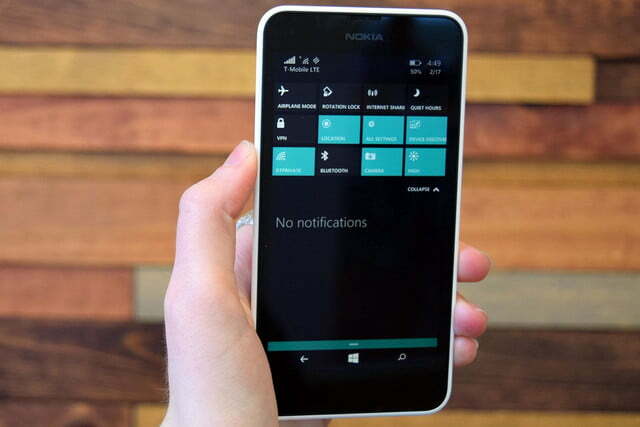 Many apps from the calculator and dialer, to the photos app and more will be getting a redesign and new features. Album view in the photos app, for example, is listed as coming soon. For the most part, apps look simplified and cleaned up — none more so than the settings app. The settings panel used to show big, bold text and no images at all, but now each option has a different icon in that typical Microsoft blue color, and the font is smaller. For example, the Network & wireless icon looks like a tiny globe, while the Accounts option is a small person, and Privacy is a lock. There are also less options, which makes it easier to find what you’re looking for. All the miscellaneous settings are packed into the Extras tab. Overall, I found the new settings app much more streamlined and user friendly. If you’re interested in taking a peek at the preview yourself, be forewarned that it’s not very stable. A lot of apps, motions, and new features are jittery. If this is your only device and you can stand to wait, hold out for Microsoft’s final interpretation of Windows 10 for mobile later this year. The Technical Preview only works on the Lumia 630, Lumia 638, Lumia 635, Lumia 730, Lumia 636, and Lumia 830 for now, but Microsoft’s working on adding more devices to that list soon. In the meantime, stay tuned. We’ll continue to update this post, as Microsoft adds more features.